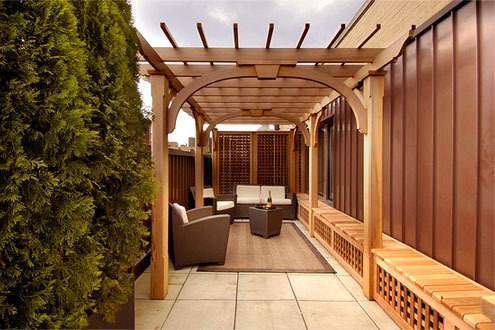 A need to establish intimacy on a 39th floor terrace resulted in this small, but elegant patio pergola and privacy screen. Utility pipes were covered with a latticed bench. Strict rules within the building for such structures required creative engineering to ensure secure attachment of the pergola.